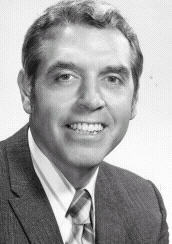 Gene Elston, whose baseball broadcasting career spanned 47 years, primarily as a radio announcer for the Houston Astros franchise, was the recipient of the 2006 Ford C. Frick Award, presented annually for major contributions to baseball broadcasting. He received his award during the annual Baseball Hall of Fame induction ceremonies in Cooperstown, NY, on July 30, 2006. Born in 1922, Elston broke into broadcasting in 1941 with high-school basketball, and then baseball in 1946 with the Waterloo White Hawks of the Three I League. In 1954, Elston earned his first broadcasting assignment in the major leagues with the Chicago Cubs as their number two radio man. In 1958, Elston was chosen to team with Bob Feller for Mutual's Game of the Day, which aired over 350 stations across the country, a position he held through 1960. Elston was selected by the Houston National League franchise as their lead radio man for the inaugural 1962 season. In 25 seasons in Houston, Elston teamed with Loel Passe, Al Helfer, Harry Kalas, Bob Prince, Dewayne Staats and Larry Dierker. While his list of partners changed over the years, his voice remained constant, delivering the game to a growing legion of fans throughout Texas. Among Elston's Astros broadcasting highlights were Eddie Mathews' 500th career home run; a 24-inning, one-run marathon between the Astros and Mets and April 15, 1968; and Nolan Ryan's career strikeout number 3,509 on April 27, 1983, topping Walter Johnson's all-time mark. Elston called 11 major league no-hitters, including Mike Scott's N.L. West clinching effort over the Giants on Sept. 25, 1986.After parting with the Astros at the end of 1986, Elston went on to handle the CBS Radio Game of the Week from 1987-1995 and CBS Radio postseason games from 1995-1997. A Texas Baseball Hall of Fame inductee and a Texas Sportscaster of the Year award winner numerous times, Elston also created a unique scorebook, Gene Elston's Stati-Score Baseball Scorebook, and has authored three books, including the 2005 release, The Wild World of Sports.